Mobile chip giant Qualcomm is pushing hard to be a key player in cellular communications between vehicles and the rest of the world. The somewhat forced abbreviation for this sort of thing is C-V2X (cellular vehicle to everything) and the Qualcomm 9150 chipset is designed to enable it. In partnership with Chinese firm Datang Telecom Group Qualcomm has claimed the first demonstration of multi-chipset vendor C-V2X direct communication interoperability. “This interoperability test conducted with Qualcomm Technologies is of great importance and is a milestone for the industry as it is the first chip level PC5 Mode 4 interoperability test, which demonstrated the maturity and readiness of commercial deployment for C-V2X technology,” said Yingmin Wang, CTO of Datang Telecom Group. This is all compatible with 3GPP Release 14 C-V2X direct communications (PC5) Mode 4, otherwise known as LTE-V2X. The demo used the Qualcomm 9150 chipset and Datang’s DMD31 LTE-V2X module, using the 5.9 GHz spectrum, which has been set aside for this sort of thing. One of the key use-cases will vehicle-to-infrastructure communication that is needed for things like automated collision avoidance and autonomous driving in general. Mobile chip giant Qualcomm has not quite unveiled its next major mobile platform, which is designed to be paired with its X50 5G modem. 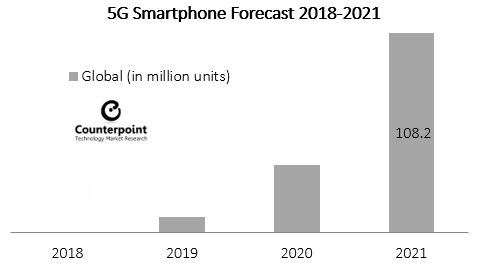 The announcement, which didn’t offer much detail, seemed designed to maintain buzz ahead of the anticipated launch of 5G devices in a few months’ time. The platform doesn’t even have a name yet, but it’s safe to assume it will be Snapdragon followed by a four digit number. We do know it will be manufactured on the 7nm process node, which will ensure it packs more of a processing punch in a smaller package than its 10nm predecessor. The full reveal of Qualcomm’s next flagship mobile SoC will come later this year. It comes at a time when the ARM ecosystem is competing harder than ever with x86 chips in the PC and server markets. With the top three smartphone vendors all producing their own SoCs, how Qualcomm positions the Snapdragon platform to exploit non-smartphone opportunities will be key.